Going through Andrew Wyeth: In Retrospect you will see a white house over and over again. The house belongs to the Keurner’s, some of Wyeth’s neighbors. Wyeth was fascinated with Karl Keurner and his wife Anna and his paintings reveal that. 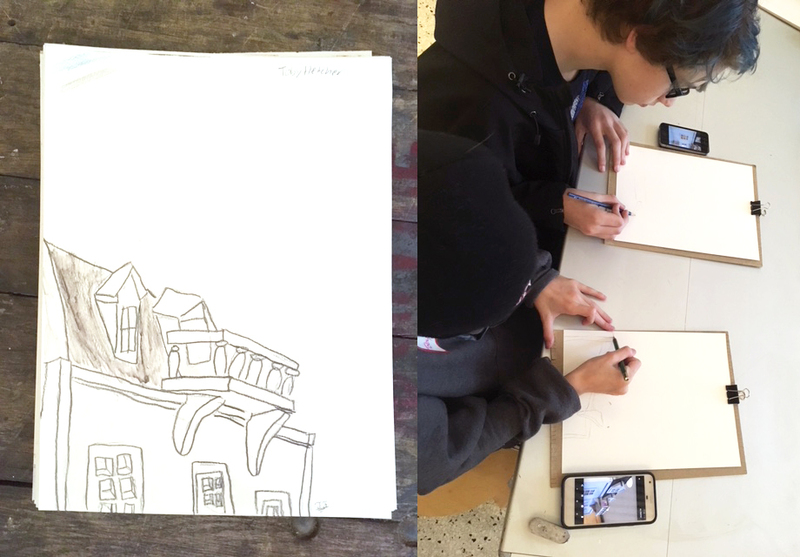 For students visiting the museum we wanted to create a lesson that captured the narrative point of view in Wyeth’s paintings in order to share how the artist’s perspective reveals much more than a hillside with a white house on it. We also wanted to bring in some of his process as an artist. Wyeth’s work is so technically beautiful that we were afraid students would be intimidated, so we decided to create a model in the studio. 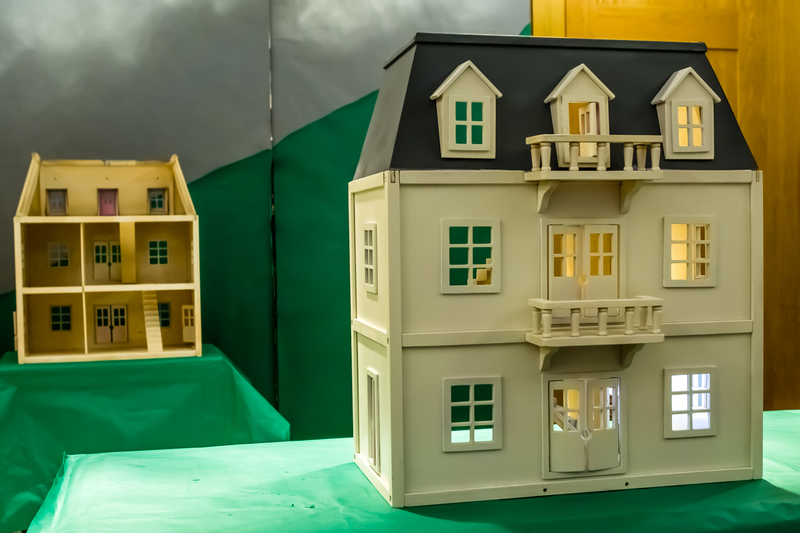 We bought a simple doll house, painted it white and grey, and paired it down to open rooms and windows with doors swinging partially open. Stories abound just looking at the house. 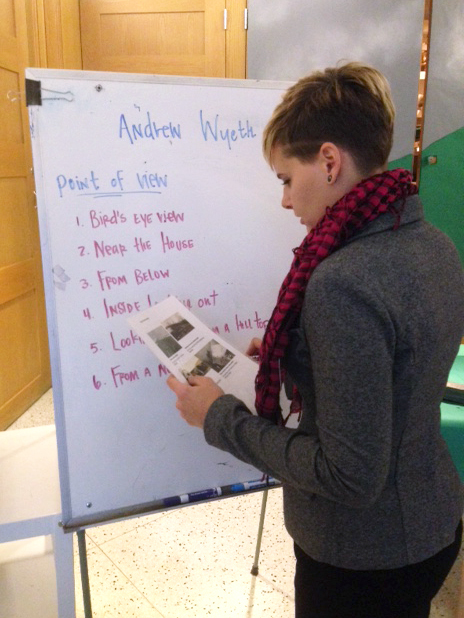 Students were first asked to look at Wyeth’s work and to find the large shapes in it. Wyeth often worked by breaking a scene down into large shapes, and sketching them out on paper. Students then translate it into their own looking experience. We created eight points of view based on the paintings in the show, ranging from bird’s-eye view in Northern Point to looking-up view, in Mother Archie’s Church, to the windswept view in Airborne. Students can choose their point of view, or if they can’t decide, they can roll some dice for a random pick. After all this, students begin drawing through observation. They are invited to move around the house to find a good spot, older students can take a photo with their phone if they want. All the while they should be thinking about the larger narrative. What information will help them tell their story? We are using water color pencils on watercolor paper and, once they have their sketch, they can activate the dry colors by using water, brushes, and blending to create fields of color. As students finish up their artwork they can create a visual story together with their class or table groups. For more info on School Tours and Art Workshop Programs at SAM, please email or go visit our website. Try a variation of this lesson plan with your school group if you come for a self-guided tour!